Nvidia has launched a pair of powerful consumer graphics cards based upon its top-end Titan Xp GPU - with added sprinkles from the Star Wars universe. These Titan Xp collector’s edition cards reflect the powers of the light and dark sides, the Jedi Order and the Galactic Empire. Despite the Star Wars stylings, the attractive new Titan Xp graphics cards will perform just like the ‘vanilla’ Titan Xp released, and reviewed by HEXUS here on Earth, back in July. 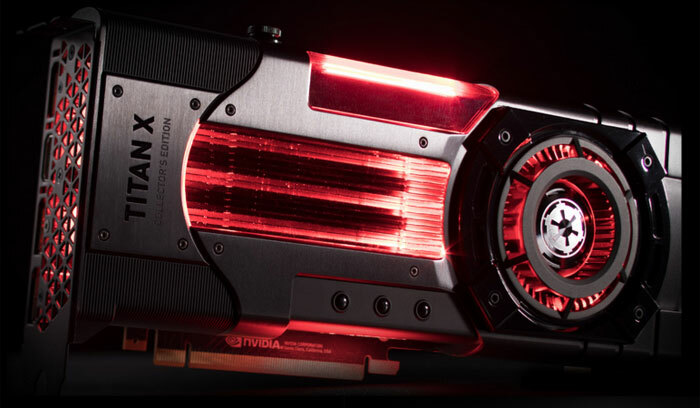 In an email to HEXUS, Nvidia explains that the new Jedi Order Titan Xp shares certain design flourishes with the hilt of Luke Skywalker's light sabre. In the images you can see the cast aluminium shroud has been aged for a battle-worn finish using a corrosive salt spray. 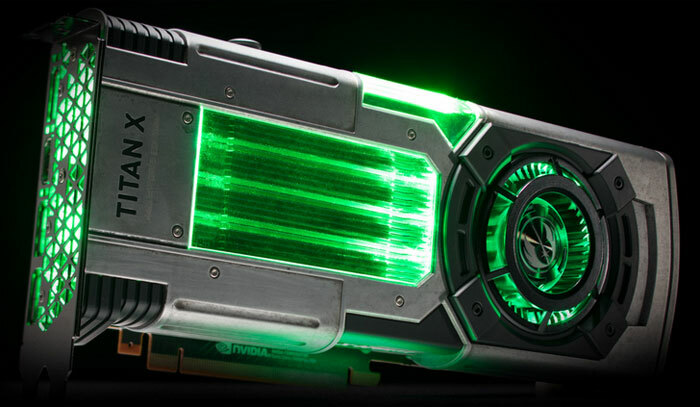 This GPU is lit up in several zones with green LEDs and bears the moniker ‘Jedi Order’ backlit across its top bar. The new Galactic Empire Titan Xp contrasts nicely, with its clean lines. The resource-rich Empire would never have to make do with battle-worn equipment, reasons Nvidia. Through the multiple windowed areas on this collector’s edition you will see a red light shining. Whichever version you choose, Nvidia says it spent over a year to perfect the designs and finishes you see today. As ‘collectibles’ Nvidia has also worked hard to make the packaging memorable, and to pay homage to the light and dark sides of the force. The box includes a collectible electroformed metal badge containing the insignia of the purchaser’s preferred alliance. Check out the striking packaging shots below. Inside these graphics cards Nvidia has equipped the Pascal-based GP102 GPU, with 3,840 CUDA cores running at 1.6GHz and 12GB of GDDR5X memory running at 11.4Gbps. The cards are capable of 12TFLOPS of processing power and can run “any of today’s most cutting-edge titles at the highest resolution with the highest detail quality turned on,” claims Nvidia. Pre-orders for the Nvidia Titan Xp Star Wars Collectors Editions begin from 2pm tomorrow, with the cards expected to become available “in mid-November”. Buyers are limited to one card of each design. The MSRP is $1200 / £1149. they go to all the trouble of custom lighting, worn shroud with salt, but they cant put a tiny p after the X. 'The box includes a collectible electroformed metal badge containing the insignia' and has a tiny p. so why cant the shroud itself? The shrouds on each model are different so hence why there is no RGB I suspect.